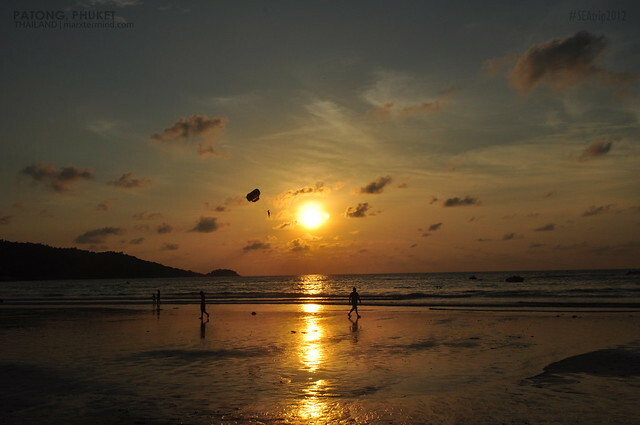 After spending our day at Phi Phi Island, there’s no better way to end the day but catch the sunset in one of the beaches in Phuket. 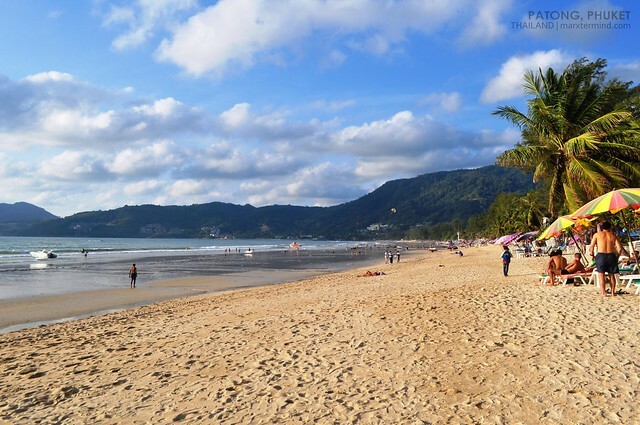 There are number of beaches across the island that you can choose to go to and since we stayed at Patong Beach, we settled ourselves on that part of Phuket. 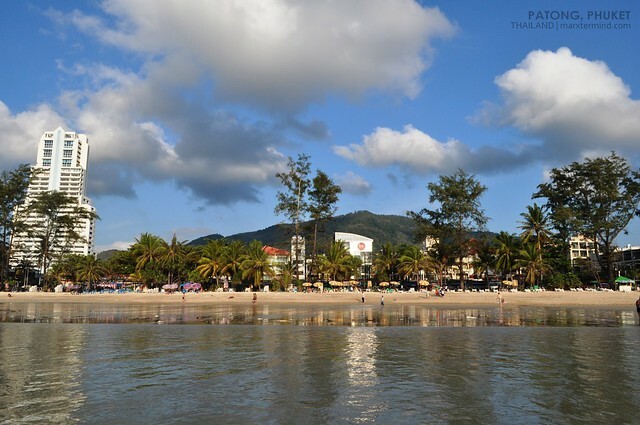 Patong Beach is the main tourist beach attraction in Phuket where the center of Phuket’s nightlife and shopping is. 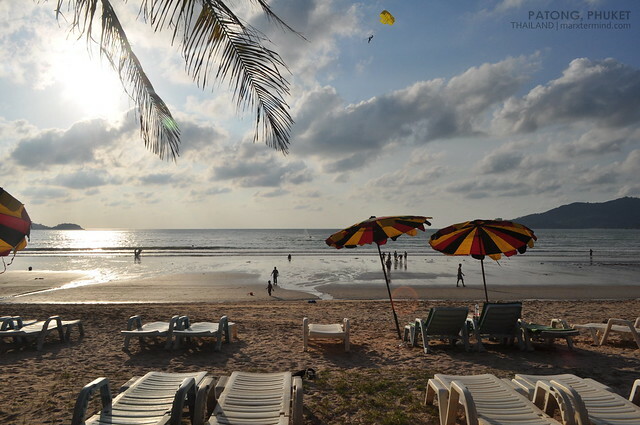 There is also a wide range of hotels in Phuket in the area. 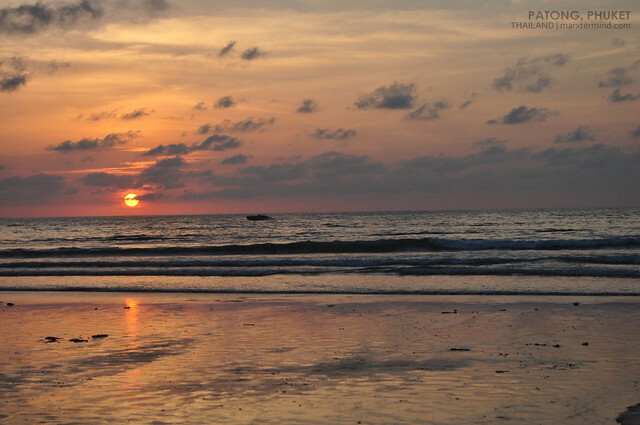 Upon arriving to our guesthouse, we moved quickly and headed to the beach. There ain’t a lot of tourists when we visited the beach area which is quite good actually as we had our space to enjoy the beach, swimming and playing around. I know it ain’t right to compare places but I couldn’t help but compare it with my homeland’s beaches, especially Boracay. Well the sand in here is not that fine and powdery. The water isn’t that clear at all but the vista is truly stunning. 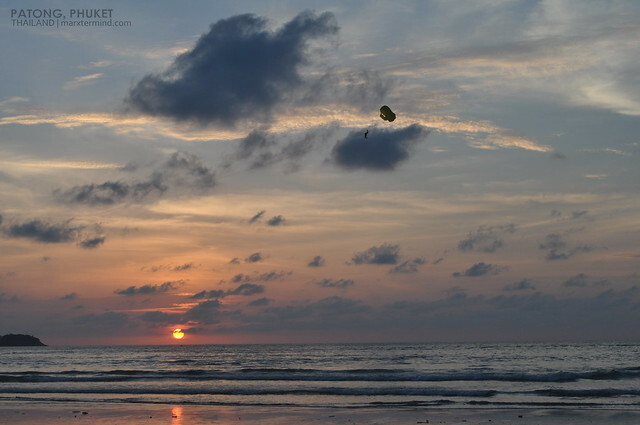 This beach is also an area for some water sports activity like jet ski and para sailing. 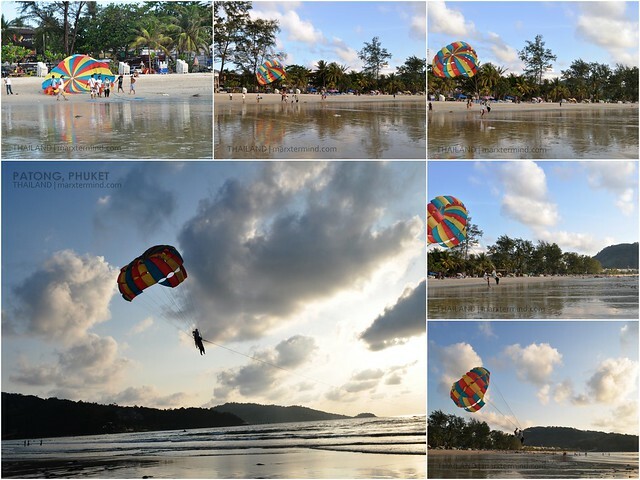 We saw few tourists tried these activities. I couldn’t help but be envied. If I only have spare cash for those activities, then definitely I’ll be doing such, too. We walked at the shore and wandered around. We couldn’t help but notice how filthy the beach is. The beach area is left unclean with wastes like cans, disposable bottles and so many other things that could be found on the shore and in the sea itself. 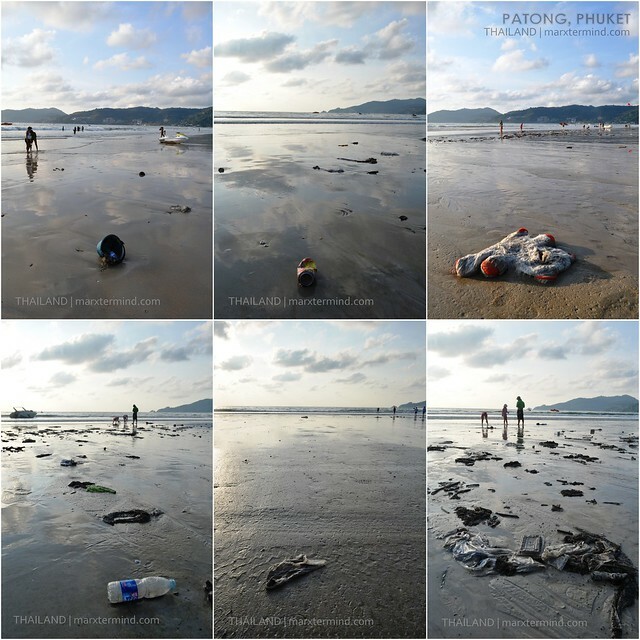 I hope the local tourism of Phuket should do something to clean up this beach and regulate rules to avoid such incidents and scenario. Also, I hope the locals and tourists should be responsible enough in getting to this place. As the saying goes, leave nothing but footprints. It was already like 6:00 PM (ICT) and the sun started to fall, making its way to hide from the horizon. 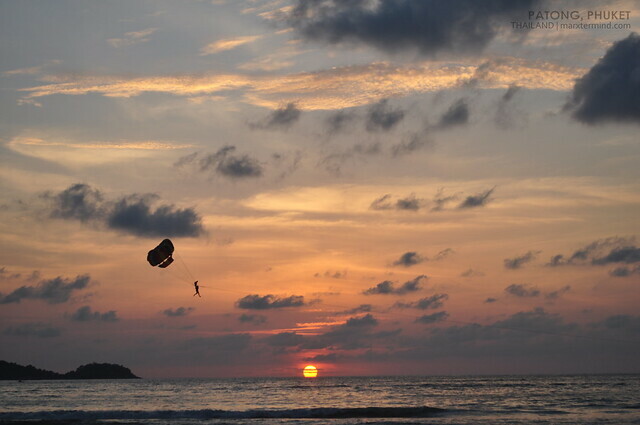 Sunset never failed to amaze me. It’s always dramatic as it is. 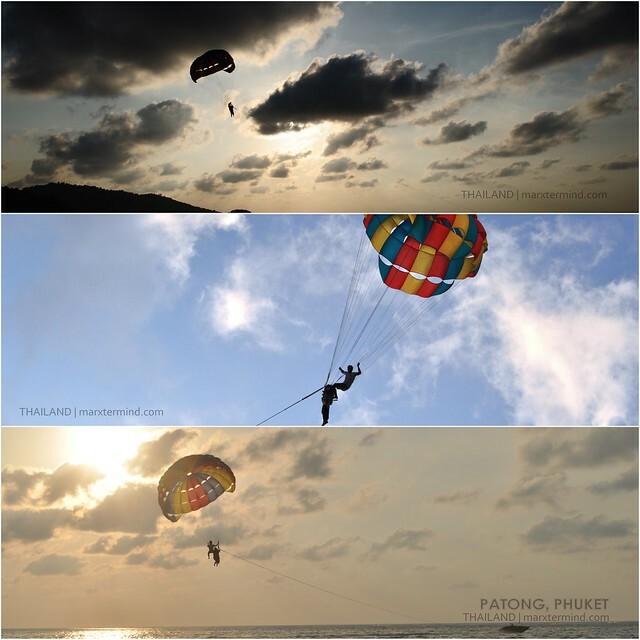 Most people enjoy seeing the sun down by just sitting at the shore and staring at the sun as it falls, but if you would want to see it in an adventurous way then I think para sailing is one of the best approach. 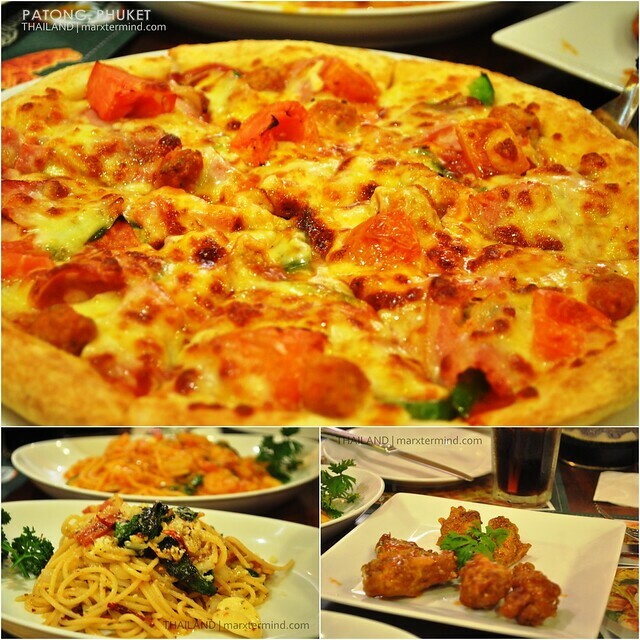 Because we were on a beach, one of the best places to eat at is in a seafood restaurant but since my companions were on a budget we just settle in one of the Italian fast foods that could be found along the beach road. 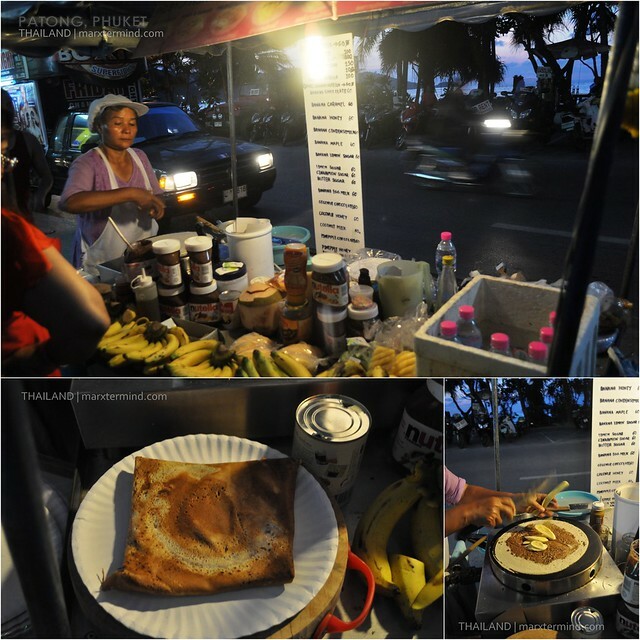 I was kind of disappointed when we weren’t able to have seafood but trying the Nutella Banana Crepe being sold on the road instantly took away my dismay. 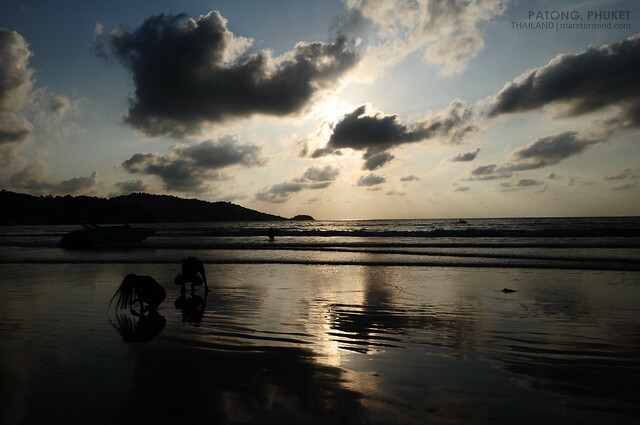 When the sun goes down, Patong transforms itself as a center of nightlife with main areas Bangla Road and ‘Paradise Complex’. 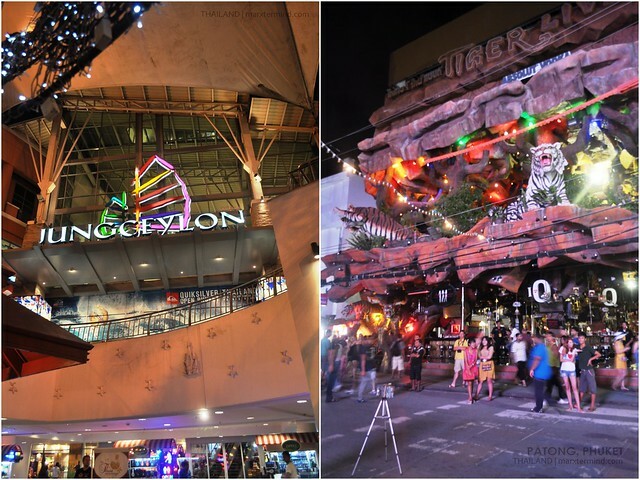 Both these areas are lined with bars, discotheques and go go bars. 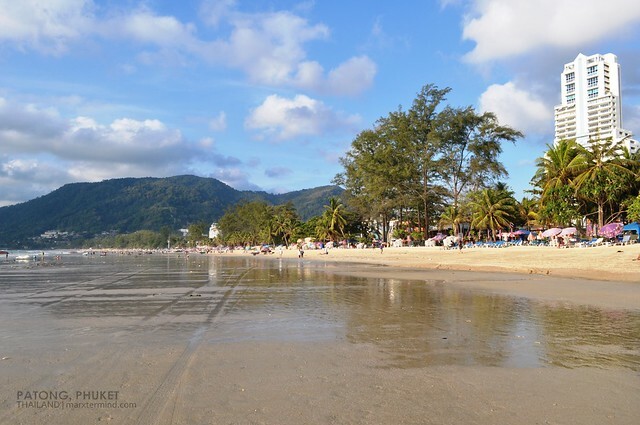 Just so you know prostitution in Thailand is illegal but being tolerated as is the case with Patong Beach. 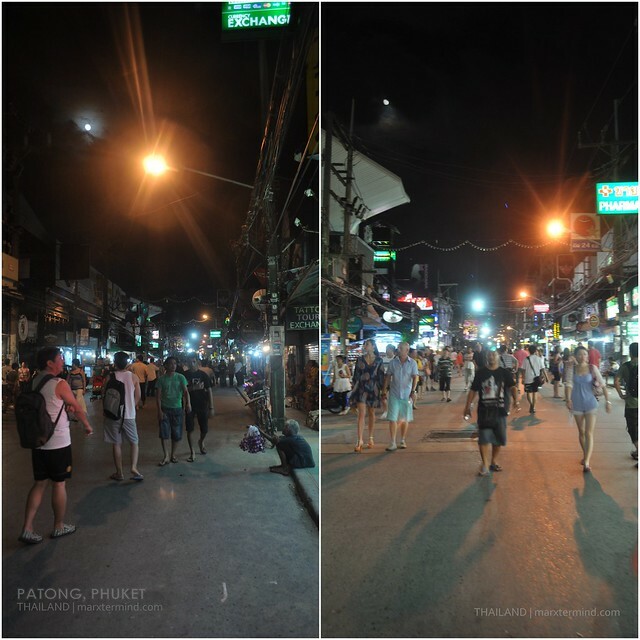 Too bad we weren’t able to experience the nightlife on this part of Thailand as it was election day when we visited the area. So instead of that rowdy style of nightlife which we planned to spend in Patong, me and my companions decided to pamper ourselves and went to a massage parlor located in the street nearby our guesthouse. The girls had Thai Massage while us boys had Fish Spa. It was actually my first time to try that spa and all I can say is that it is so tickling, so sensational. I can feel those fish nibbling on my dead skin cells by sucking and licking at my skin. 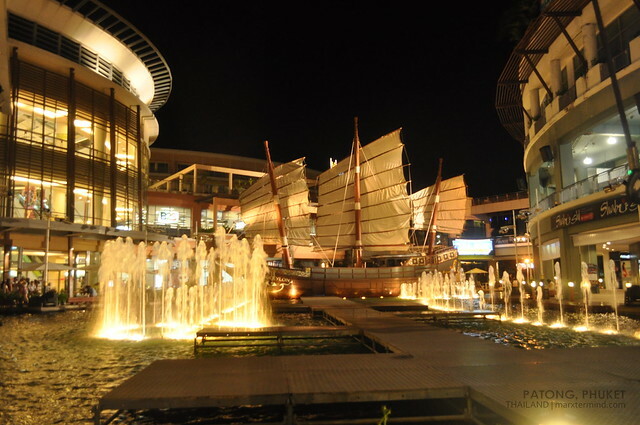 Truly, me and my companions enjoyed our nice vacation in Phuket despite of those shortcomings and disappointments we had encountered during the trip. Sometimes, it’s not those things that matters but what’s more important is how you see things and explore places by yourself or with your friends and companions. 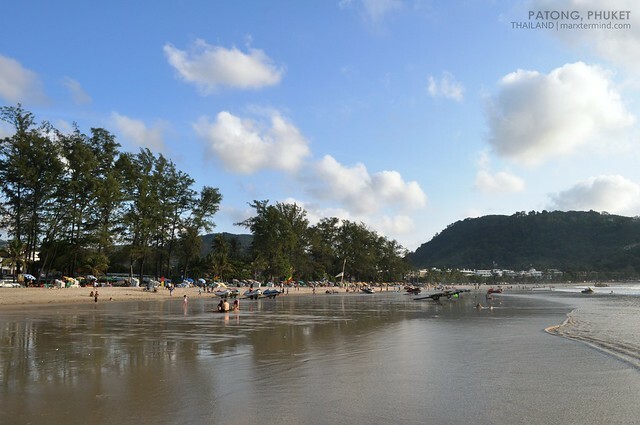 Absolutely, I’ll go back to Phuket and explore the other beaches from this island.